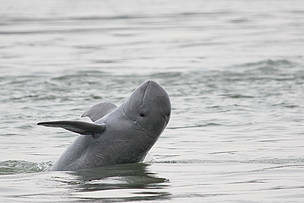 After decades of seemingly irreversible decline, results from a WWF and Government of Cambodia census released today show that the population of critically endangered river dolphins in the Mekong has risen from 80 to 92 in the past two years – the first increase since records began more than twenty years ago. Phnom Penh, Cambodia, April 23, 2018 – After decades of seemingly irreversible decline, results from a WWF and Government of Cambodia census released today show that the population of critically endangered river dolphins in the Mekong has risen from 80 to 92 in the past two years – the first increase since records began more than twenty years ago. 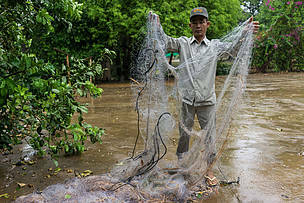 Effective river patrolling by teams of river guards and the strict confiscation of illegal gillnets, which accidentally trap and drown dolphins, are the main reasons for this historic increase. Over the past two years 358 km of illegal gillnets – almost double the length of the dolphins’ remaining home range – have been confiscated from core dolphin habitat. The first official census in 1997 estimated that there were 200 Irrawaddy dolphins in the Mekong, a figure that fell steadily due to bycatch and habitat loss until there were only 80 left in 2015. But now the decline appears to be on the mend. Along with the 10 per cent increase in dolphins, the surveys also point toward encouraging signs for the long-term health of the population, with an improvement in the survival rate of dolphins into adulthood, an increase in the number of calves and a drop in overall deaths. Two dolphins died in 2017 compared with nine in 2015, while nine new calves brought the number of dolphins born in the past three years to 32. The surveys covered 190 km of the main channel of the Mekong River from Kratie in Cambodia to the Khone Falls complex in Laos. Surveys were done in both directions with teams photographing dolphins and comparing the distinctive marks on their backs and dorsal fins against a database of known dolphins. 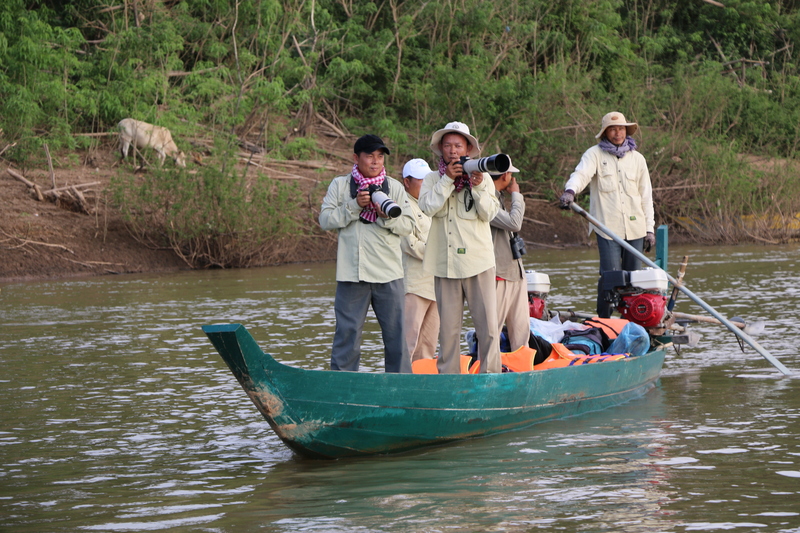 WWF was established in Cambodia in 1995 as a part of the WWF Greater Mekong Programme. WWF’s mission in Cambodia is to ensure that there will be strong participation and support from all people to conserve the country’s rich biological diversity. Through the encouragement of sustainable use of natural resources, WWF-Cambodia promotes new opportunities for the benefit of all people, enhancing local livelihoods and contributing to poverty reduction in the Kingdom of Cambodia. Go to cambodia.panda.org for more information. Mr Sor Chamraon, a river guard on the Mekong river, shows a recently confiscated illegal net, Kampi, Kratie, Cambodia. River guards patrol stretches of the Mekong river, looking out for illegal fishing that threatens Irrawaddy dolphins and the long-term sustainability of fish stocks.